IDAHO FALLS, Idaho – As a teacher in Idaho Falls School District 91 and with a second job as a server at Jakers Bar and Grill, some of Jess Marboe’s workdays can last up to 15 hours. When she worked a third job – teaching English to children overseas through VIP Kid Teaching Portal for $8.50 an hour – some workdays would run even longer: 4 a.m. to 10 p.m., she told the Post Register. Nearly 1 in 5 public school teachers have second jobs during the school year and 55 percent of teachers are not satisfied with their job pay, according to a 2018 report by Education Week. Kearsley said teachers “have to get creative” in finding second jobs – including working sporting events and school dances to make extra money. 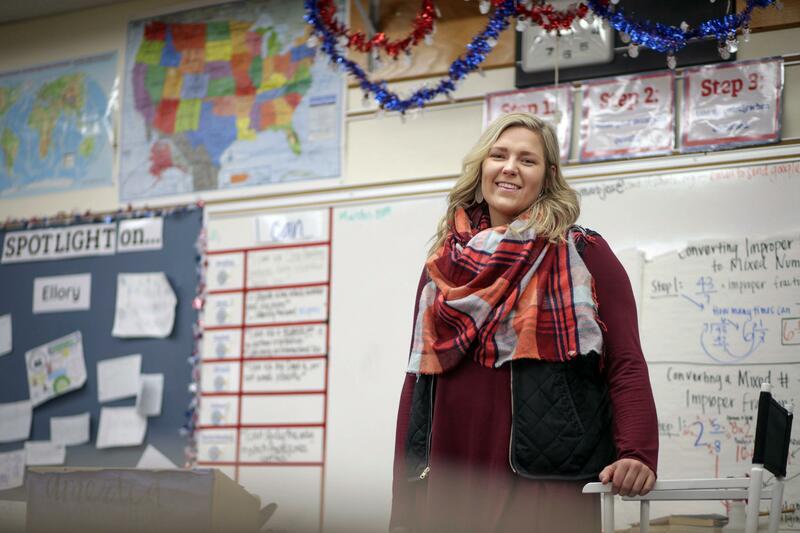 In her second year in Bonneville Joint School District 93, Kearsley makes $37,445 and works anywhere from 6 a.m. to 9 to 10 p.m. on any given day due to her involvement as a student council adviser. The average cost of college for the 2018-2019 school year was about $10,000 for in-state public schools, $21,629 for out-of-state public schools and $35,676 for private schools, according to data by U.S. News – and that’s just for tuition and fees. In Idaho, the average cost for tuition and fees and on-campus dormitory housing and meals at the state’s four-year public universities is $15,966 per year, but that doesn’t include books, transportation or entertainment.